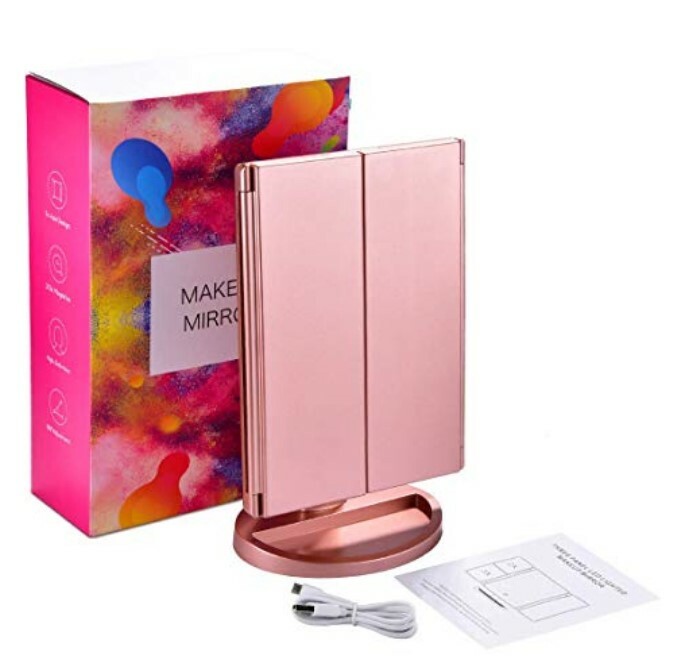 Lighted Makeup Mirror with 21 Led Lights is now available at Amazon.com for just $25.99 (REG $49.99) (As of 21 March 2019, 10:45 PST –Details) with an amazing 48% Discount and Free shipping to your doorsteps most probably. 21 high quality LED lights: You can dim or brighten up the lights with pressing the “touch screen switch”. 3 magnification modes (1X,2X,3X):3 panels magnifying and wide-angle viewing allow you to see clearly your face and make a flawless makeup. Dual power supply: Power the lighted makeup mirror by USB charging cable directly which is included in the pack or 4*AAA batteries(not included). 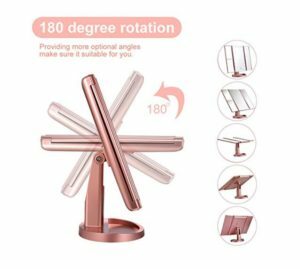 180-degree rotation: The makeup mirror standing allows 180-degree rotation so that you can adjust the mirror as per the suitable viewing angle you wish. 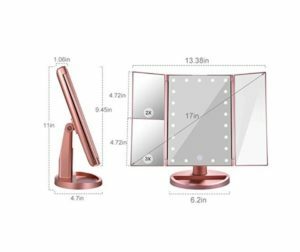 High-class certification: This mirror is certified by a number of authorities including FCC, ROHS, and CE, which makes sure high quality for the mirror. 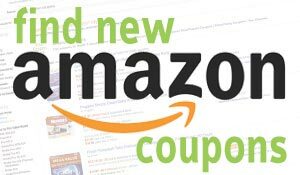 48% Discount for a limited time.